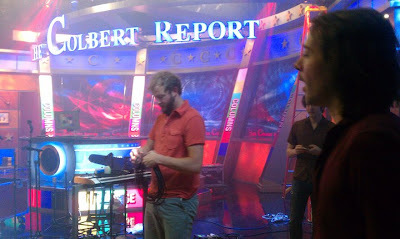 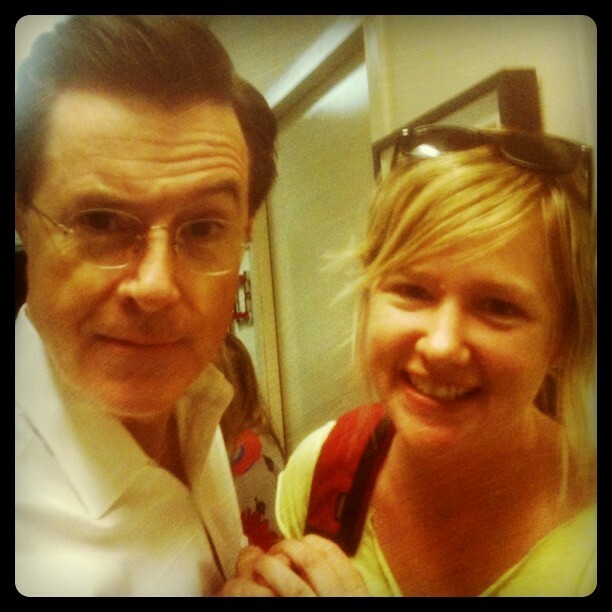 A bevy of Minneapolis peeps were in New York for Bon Iver's interview and performance on The Colbert Report yesterday. 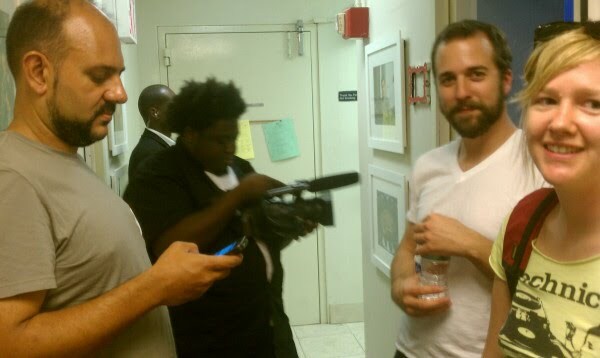 Local director/videographer Dan Huiting (who directed Bon Iver's "Calgary" video) snaps The Bitchelor hanging backstage with Jagjaguwar's Darius Van Arman, trombonist Reggie Pace, and Bon Iver mixer Brian Joseph. Dan also snaps Bon Iver's S. Carey with Justin Vernon and his lady, musician Kathleen Edwards. 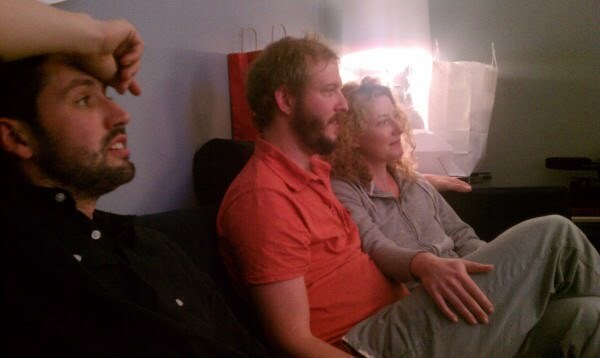 Dan Huiting (who is purportedly on the road with Bon Iver as part of the documentary he's shooting on them) snapped this shot of Justin Vernon & co. preparing for their gig.